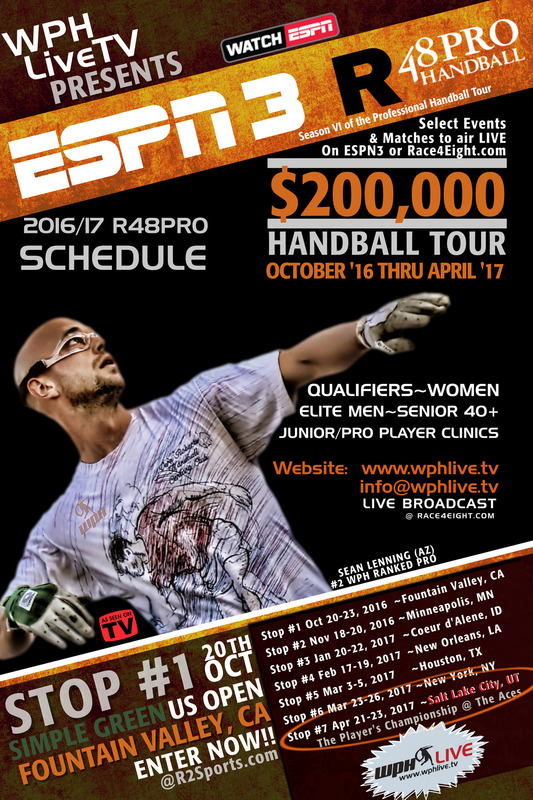 January 20-22nd, 2017, in Coeur d’Alene, Idaho, Jake Plummer (former NFL Star Quarterback), moves his Family Handball Bash from early October to January as the great Pacific Northwest opens it’s new year with one of the biggest handball events on the left side of the United States. “We are so glad Jake’s event has moved from a pre-race stop to a full-on Race event again,” barks director, Dave Vincent. “We probably won’t stream this event live, but rather take the time to interview the pros for future play back.” Plummer was not a huge fan of the press when he played in the NFL and the WPH will step back for this stop; add uploaded videos and special features throughout the weekend as a compromise. Jake’s family handball tournament routinely sells out in less than a month after posting the on-line entry and this year was no different. Jake has capped the event at 90-100 participants due to the lack of courts at the facility, but this doesn’t mean you can’t come and watch! Entry and eventual brackets posted at r2sports.com and ranking points for the pros will be in place. This will be an open format, w/no qualifier and brings reduced prize money.